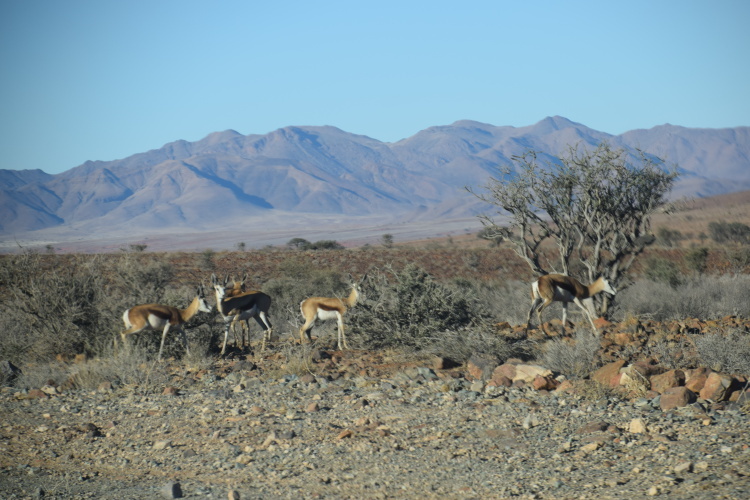 “Actually, Namibia is just one big game park” – so said Peter about half way into our road trip, having discovered that wherever we drive, there are random animals wandering around of the ‘wild’ variety. 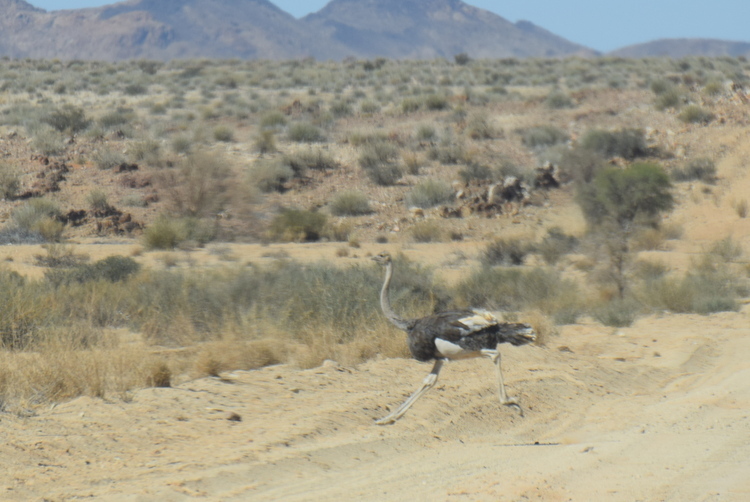 The caution against driving after dark is wise advice, with baboons, springbok, gemsbok, and even this random ostrich thinking nothing of racing across the road in front of the car. 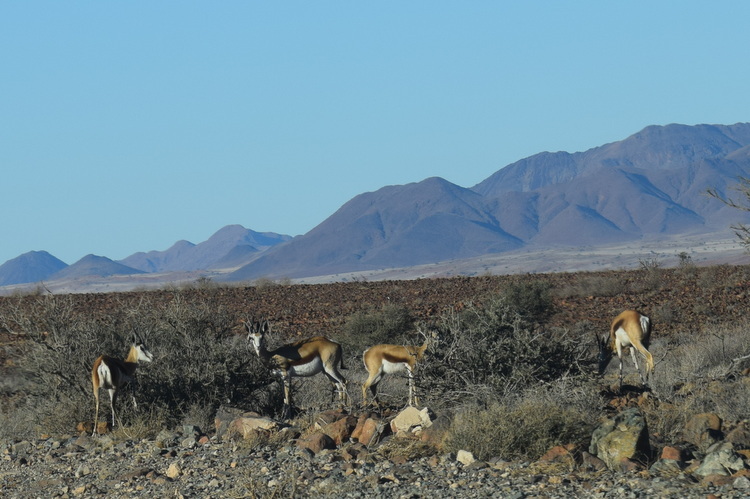 The springbok are stupid and insubstantial animals – but the gemsbok (oryx) are genuinely beautiful (and tasty too!). 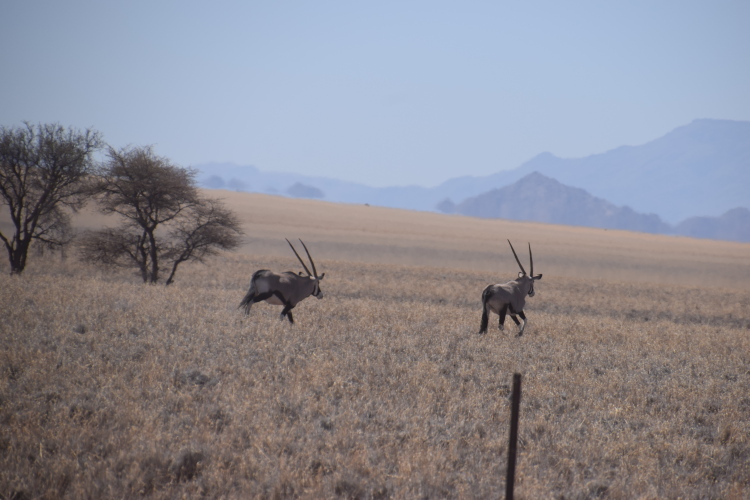 Given that our journey did not extend up north into the actual game rich areas around Etosha, it seems that Peter is right. 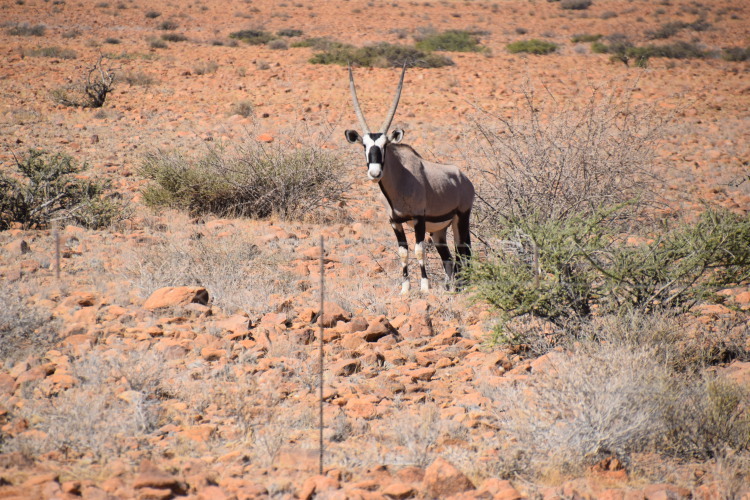 At least as common as “normal” road signs are signs exhorting motorists to beware of buck, ostriches and even zebras crossing the road. 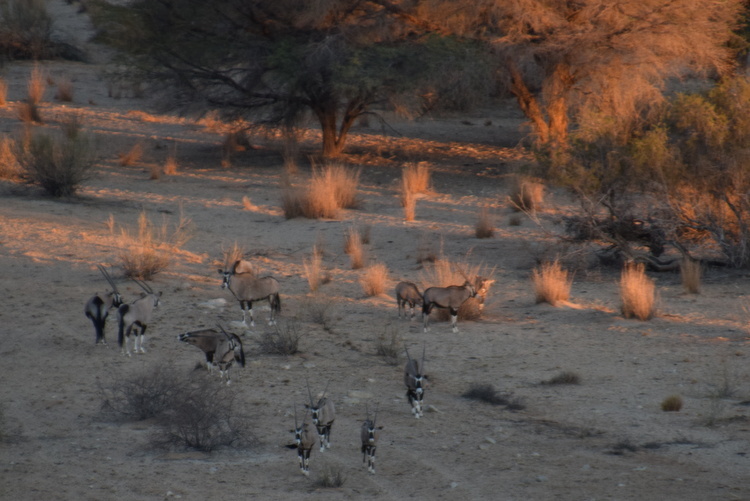 The only zebras we saw were, thankfully, quite far from the road – thankfully because these mountain zebra are in fact quite rare, and road crossing is likely to be hazardous to their long term future. 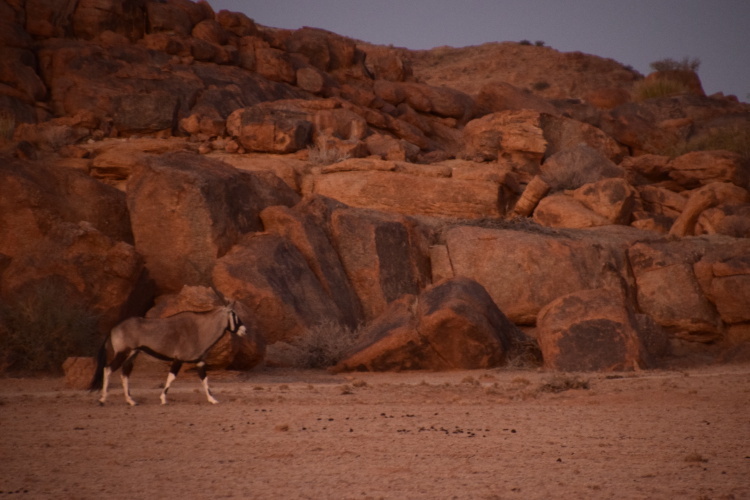 Animals adapt – quite remarkable to see these huge creatures living in total desert. 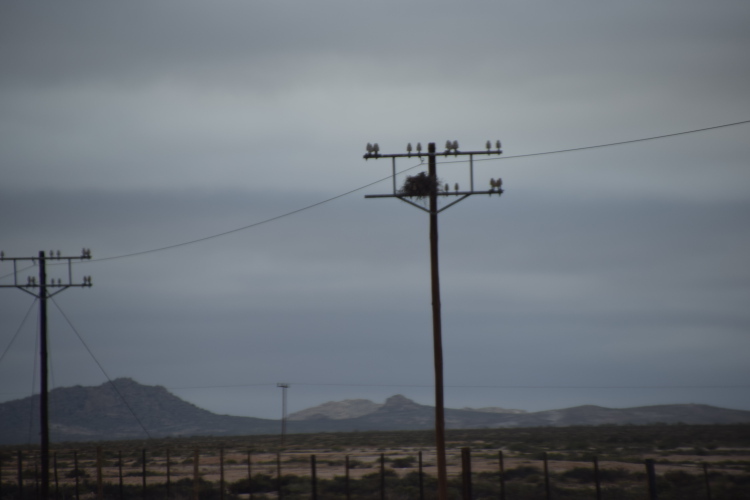 -though the best example of adaptation I saw had to be these birds in the Kalahari, who in the total absence of trees, we’re building their nests, and even raising their young in the “forks” of telephone poles. 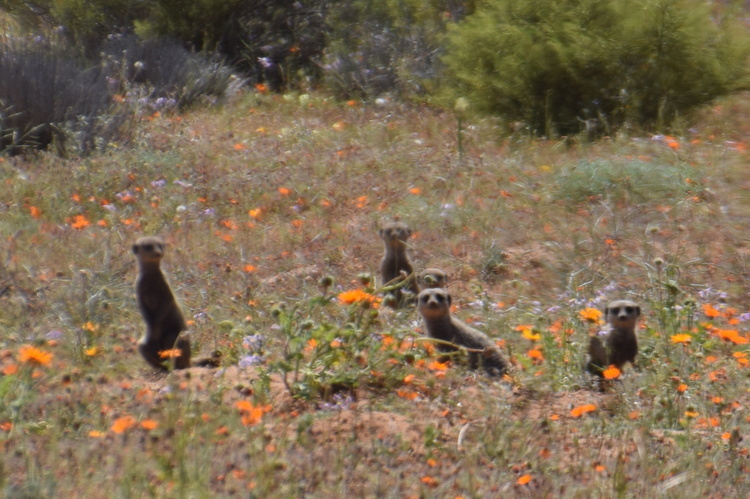 One last bit of wild life viewing today with these real life meerkats amongst the Namaqualand flowers, and a slow journey back to the main road with Peter stopping for every tortoise we saw crossing the road (and there were many!). 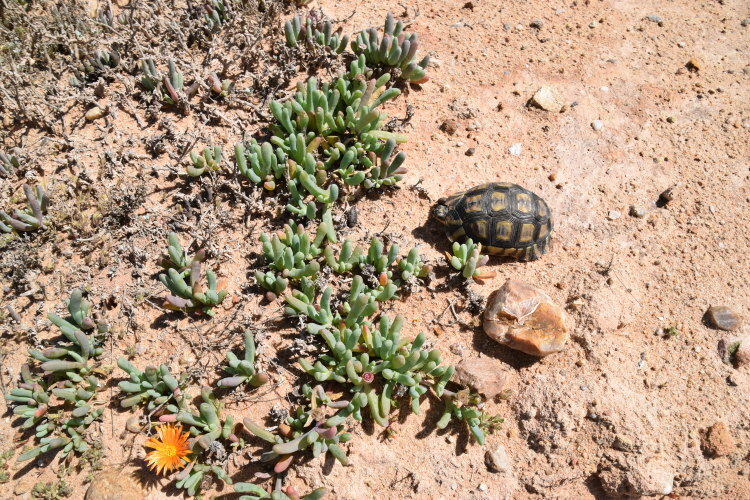 I got out of the car to assist this little guy to get to the other side safely – he wasn’t happy, struggled as much as a tortoise can, and then went inside in a sulk once I set him gently down. 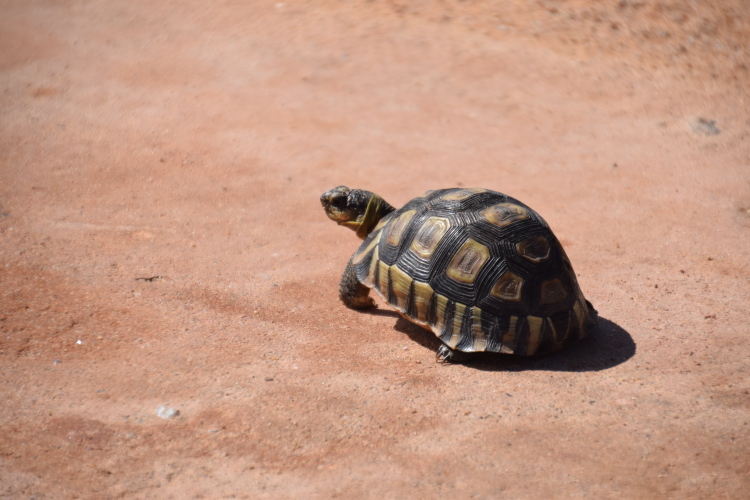 Ungrateful tortoise! Flowers look magnificent. Enjoy the whales next !